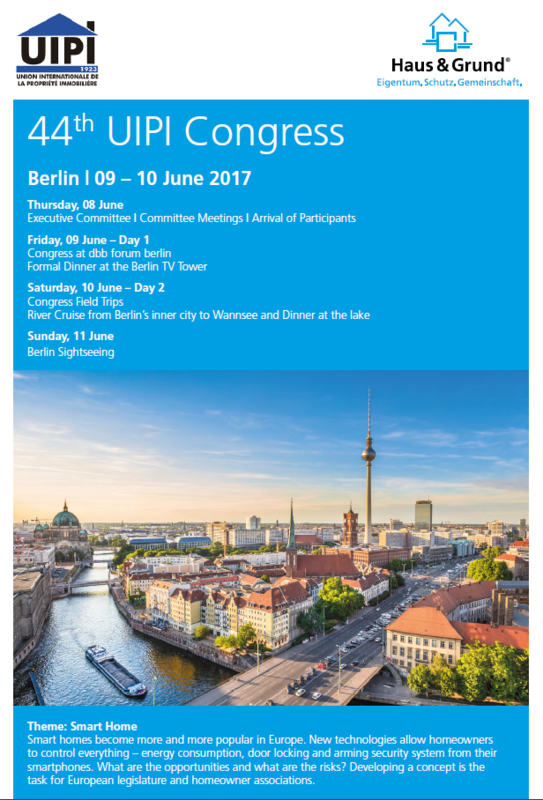 The registration for the 44th UIPI Congress on 9-10 June in Berlin is now open. Following internal UIPI meetings on Thursday, the Congress on the topic “Smart Home” will be kicked– of on Friday, 9 June at 10 a.m. at the dbb forum berlin. The following day will be mainly dedicated to site visits of the DAI Laboratory Showroom at the Technical University, demonstrating a fully networked housing infrastructure—a truly “smart home”. On Sunday an optional sightseeing tour can be organised. Here you can find the registration link, the full schedule of the Congress and a list of recommended hotels. The Congress will be held in English but Spanish translation will be available. In case of more than 10 participants from one country, a 10% discount on the participation fee will be granted.